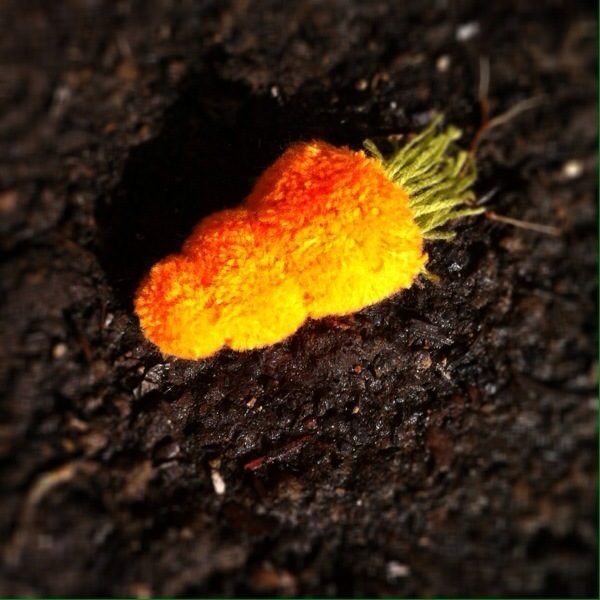 Pom pom carrot! 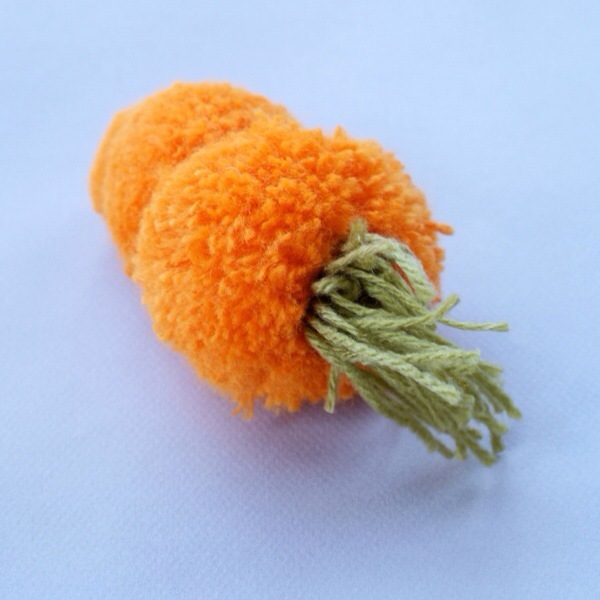 I know, a pom pom carrot sounds bonkers and of course it is. So what else to do, but to make one. 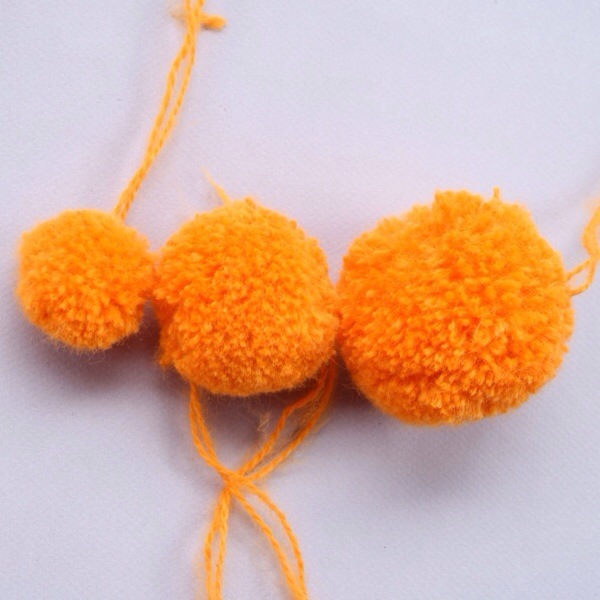 Make three pom poms in graduating sizes, I used a cereal packet to cut my pom pom bases out and increased the size of each circle by 2cm each time, ending up with 4cm, 6cm and 8cm discs. I used orange fluffy wool but any orange wool will be great. For the leafy top, I loosely wrapped some green wool around my hand a few times in an uneven manner and tied it like a pom pom and trimmed open the ends. Almost like a very loose freeform pom pom. 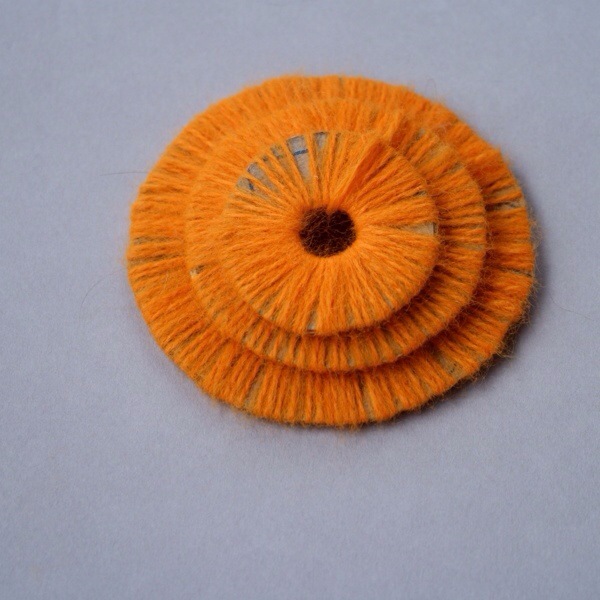 Sew them together using the wool already on the pom, include the ‘leaves’ as you sew the three together. 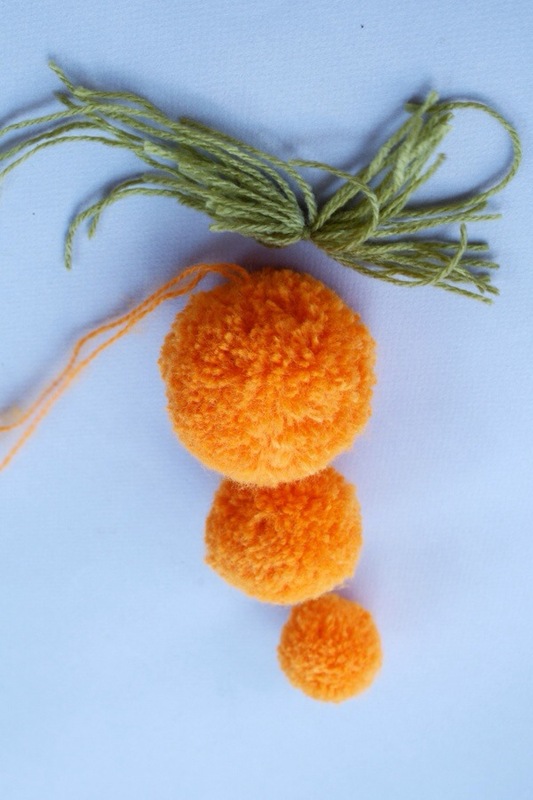 Have fun making pom pom veg and don’t forget to tell me what you made in the comments! Thanks, I see more veg in my future! Next PostThrough the Lens Thursday. Window.